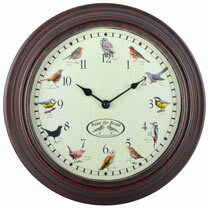 Bring the outside inside with this birdsong clock. 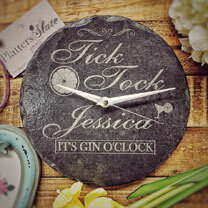 A different bird song chimes every hour (except between 22.00pm-5.00am). Diameter 30cm. Batteries not included. 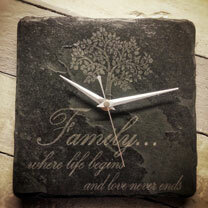 A beautifully designed and handcrafted slate clock makes a great keepsake gift suitable for all occasions. 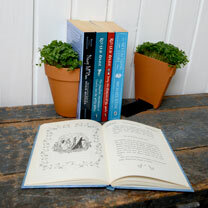 Wall mountable, fixings and battery not included. Diameter 22cm. 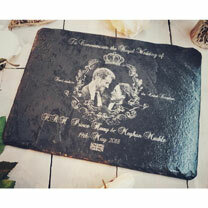 Personalisation: name up to 11 letters. 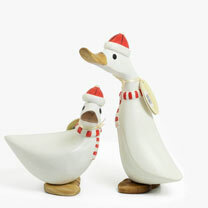 With a character that adds charm to any room, this hand-carved duckling is truly unique. 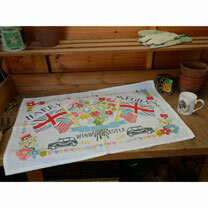 A quirky gift in their favourite team colours perhaps? Approximately 6 x 19.5cm. 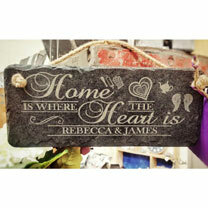 Great as a winter gift, or a quirky gift in someone’s favourite team colours. 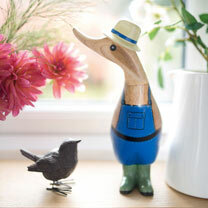 Duckling 22cm high, Ducky 14cm high. 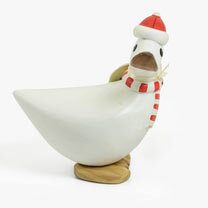 This hand carved Red and White Ducky makes a unique winter gift for the home. 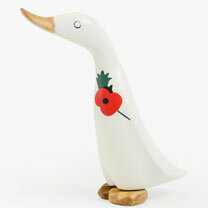 Each characterful duck is hand painted, so no two are exactly the same. Approximately 7.5 x 13cm.